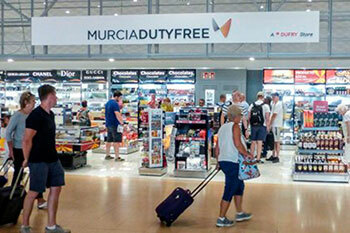 Murcia airport as a relatively small and new airport which has limited facilities for passengers other than the usual bars, shops and restaurants. 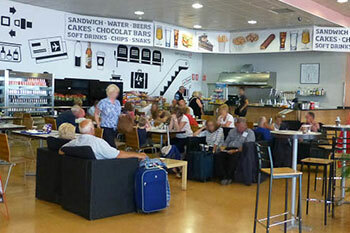 Finding places to eat and drink at Murcia airport is very simple and caters for most peoples needs. Although only a small airport there are still a number of shops catering for passengers and visitors alike. Most of the shops are airside and offer duty free shopping, for more information on shops and where they are follow our guide below. 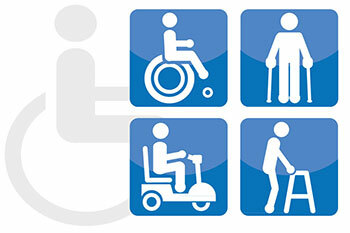 If you require assistance entering or leaving the airport check our guidein the link below. Banesto ATM – This facility can be found on the ground floor of the terminal. Customer information services are on the ground floor of the terminal, they can also be contacted by telephone on (+34) 913 211 000 or 902 404 704. Please note that these two numbers are for AENA and not specific for Murcia Airport itself, however, those two numbers are for customer services covering Murcia airport. There are four points of information regarding checked in luggage, these refer to lost, damaged or delayed luggage. All luggage enquiry points are located on the ground floor of the terminal.